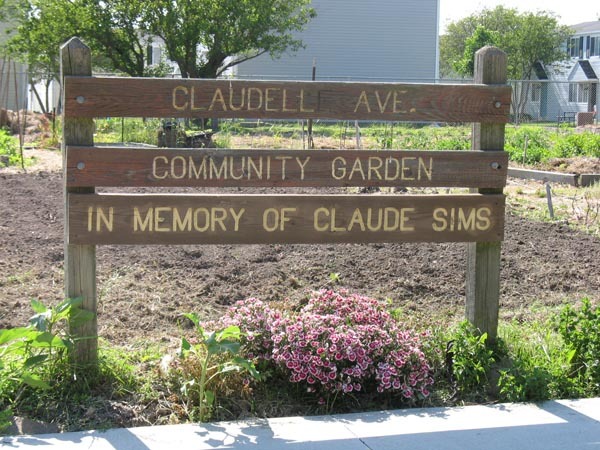 The Claude Sims Memorial garden is owned by the Community Garden Coalition (CGC). We encourage neighborhood participation, but accept gardeners from all over the city. A generous anonymous donation in memory of former CGC volunteer Pam Morrison funded a fence around this garden that went up in November 2008. Gardeners had long wished for an enclosure, so we’re very grateful to the donor for making this possible.